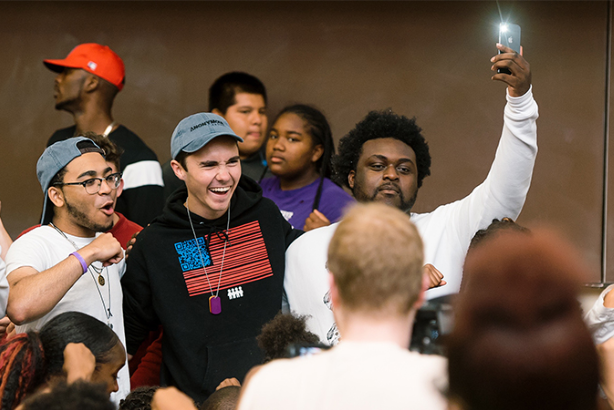 David Hogg and the cofounders of March For Our Lives were honored at the PRWeek U.S. Awards on Thursday night in New York City for their work on behalf of the gun-control cause. The organizers of the March For Our Lives included Hogg; Cameron Kasky, Alfonso Calderon; Brendan Duff, Sarah Chadwick, Jaclyn Corin, Emma Gonzalez, and Alex Wind, all survivors of the mass shooting at Marjory Stoneman Douglas High School in Parkland, Florida. Now in its seventh year, the award honors an individual who was the outstanding communicator in the period covered by this year’s awards, but does not necessarily work in the PR industry.